Shekinah Construction is a family owned registered building company. As a family-run business we pride ourselves on delivering top quality workmanship and excellent customer service. 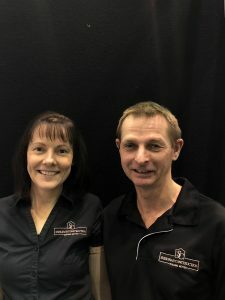 Gary and Tracy the directors of Shekinah Construction have over 20 years’ experience in the building industry, and as a builder, working with a family on their journey to achieving their dream home, whether it is building a custom home or renovating or extending their existing home is the most rewarding and exciting experience. We are passionate about building and our vision is to take pride in every single custom designed home that we build and every extension to an existing home whether it is a single storey or double storey home. We have done extensive work in hospitals and aged care facilities upgrading existing bathrooms and find this very rewarding work. We are very focused on customer relationship and communication with our clients. We love thinking outside the box and taking on challenges and working with you to find solutions.